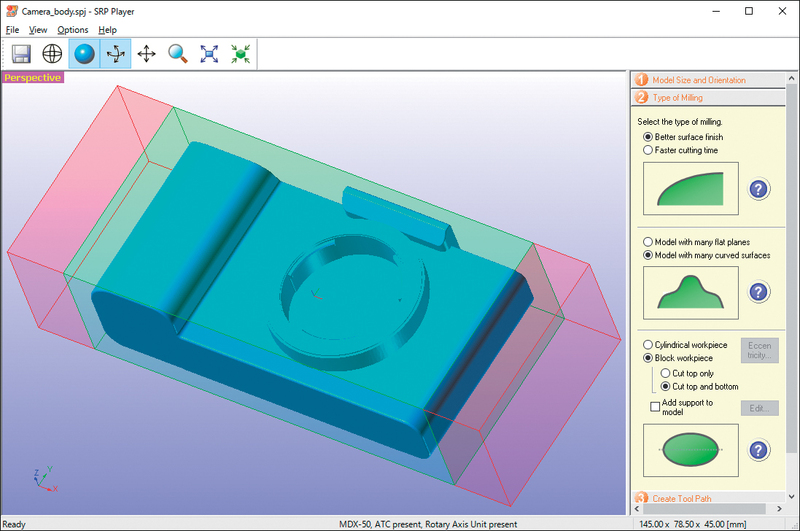 The MDX-50 CNC mill is an ideal stand-alone modelling solution for the production of short runs, prototypes and pre-production models and final samples. 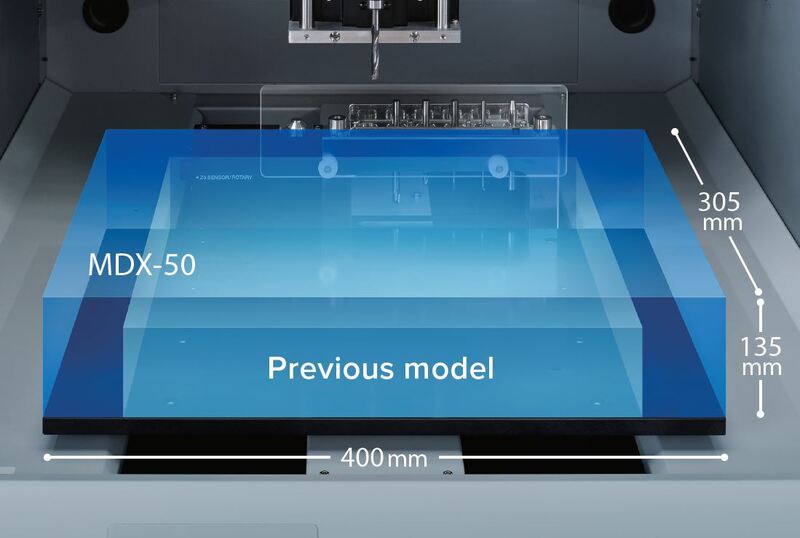 The MDX-50 is also an effective complementary technology to 3D printing as it delivers incredible mechanical accuracy (up to 0.01mm), a smooth surface finish and compatibility with a huge range of materials. 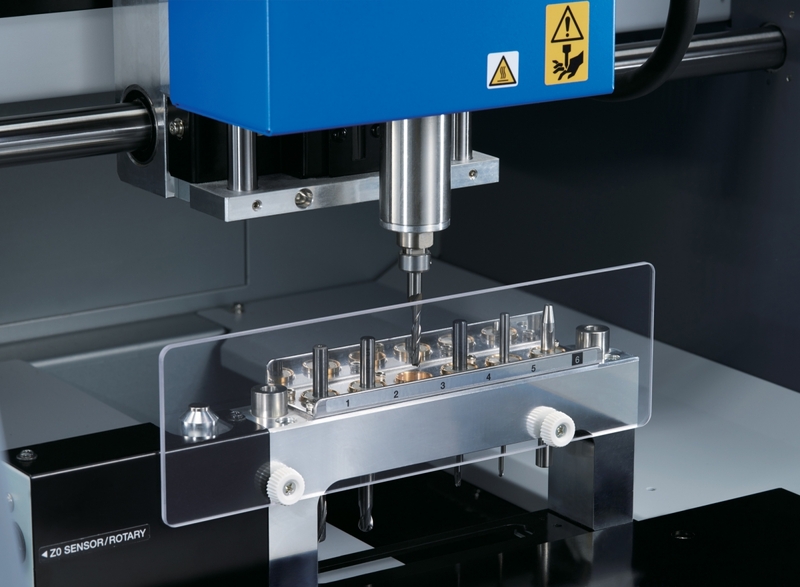 Suitable for professional, industrial and educational applications, the MDX-50 desktop milling device combines precise, automated milling with unmatched ease-of-use and intuitive CAM software, to accelerate prototype production and reduce operating costs. A new automatic tool changer (ATC), built-in control panel, increased machining area and operating speed reduce operation time and simplify production. This means that users of all abilities and budgets can mill functional parts with incredible quality and mechanical accuracy on a wide range of materials. Combine the ATC and optional rotary axis unit for complete, unattended operation. The MDX-50’s simple yet powerful built-in control panel, virtual control panel (VPanel), and bundled SRP Player CAM software make this the ideal milling solution for students, hobby engineers, enthusiasts and professionals alike. With the control panel at the front of the unit, almost all operations can be completed from the unit itself without having to go back to a PC. The VPanel interface operates seamlessly with the MDX-50 and allows users tomake changes to spindle rotation or speed while the unit is still in operation. The included SRP Player CAM software has been updated to match theadvanced functions of the MDX-50. 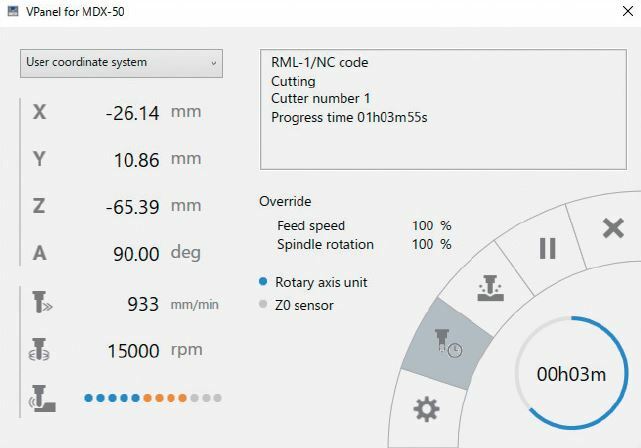 Milling settings can be configured in five simple steps, making operation straightforward even for those new to milling. The MDX-50 increases performance with an expanded machining area of 400 (X) x 305 (Y) x 135 (Z) mm and increased operating speeds(thanks to a faster feed rate), while reducing production time with faster job processing and an automatic tool changer for continuous operation without stopping to change milling tools. The MDX-50 also offers out-of-the-box production with included CAM software and no need for additional air compressor equipment. The MDX-50 precision model making device delivers exceptional quality for a smooth finish on a wide variety of woods and resins such as ABS, POM, nylon, plastic foam, modelling wax, chemical wood, plywood, hardwood and more. Create prototypes out of materials similar to the end product to test structural and functional operations, and assembly with other parts. The MDX-50 has been designed for safe and trouble-free operation, making it ideal for use in studio and educational environments. The cover ensures safe operation and waste is contained in a new integrated dust tray to create a cleaner, more convenient working environment. Current job status can be monitored from a distance with the colour-coded LED status lights and theilluminated work area makes mounting materials easier and safer. The MDX-50 represents the most reliable technology backed by unmatched customer service and technical support, and comes with a comprehensive 1 year manufacturer’s RolandCare warranty. 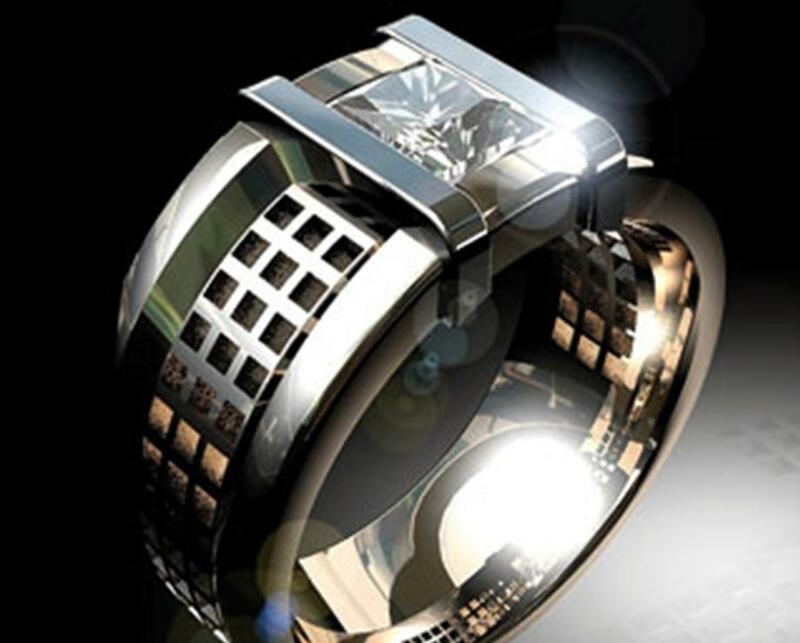 processes, all without having to access CAD or CAM software. 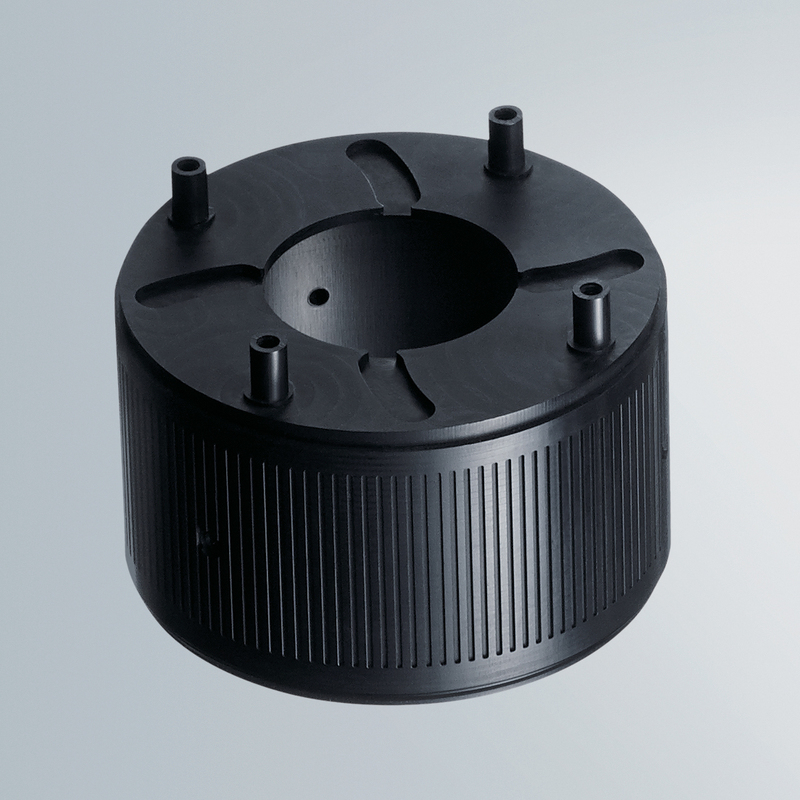 it well-suited for professional, industrial and educational applications. 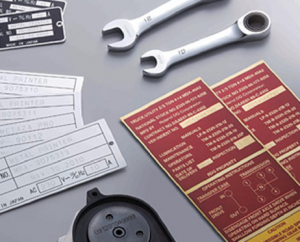 Included items Detection bar, cap screws, user’s manual. * Unit: mm, dia.=flute diameter, R=flute radius, Lc=cutting length, l=flute length, d=shank diameter, L=overall length, NT=number of flutes.